When Windows Phone launched, now over a year ago, I wasn’t sure that I was ever going to be able to write this story. After all, what if the developer community required for a modern smartphone platform to function never materialized for Microsoft’s new line of phones? What if the mobile line folded before its second generation hardware hit the streets? There were more questions than good news. That has changed. Developers have coalesced around Windows Phone, albeit in modest, but growing, numbers. The second, and improved generation of WP7 hardware is out, more on that shortly, and Microsoft appears to be content to shovel money into the project. In short, things are looking a bit rosy for Windows Phone, after a year pocked with very public struggles. Determination, and patience, appear to be working their inevitable magic. Today, however, I want to look at a very specific, and critical, part of the Windows Phone ecosystem: handset sales. We have heard nary a peep from Microsoft in more than a half-year on the topic, and were gently rebuffed yet again on the topic this morning. We weren’t surprised, but there had been a small ray of, now gone, hope. But we do several news stories that, when taken together, form a rough picture. WP7 Facebook app usage is showing a massive spike, indicating huge numbers of new handset owners. The HTC Titan is sold out at AT&T. The Samsung Focus S is currently on backorder, also on AT&T. After early positive indicators, the Lumia 800 sold out in the UK. All of that is a mix of phones, by various OEMs, on several carriers, on different continents. Is Windows Phone about to challenge iOS or Android for the sales crown? Not even by a factor of ten. 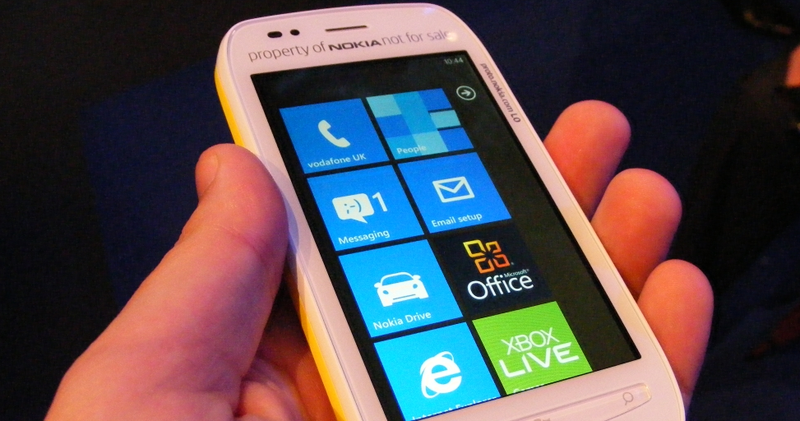 Is Windows Phone showing, finally, that it can sell enough units to walk on its own? Yes. This will help the overall Windows Phone ecosystem, as it will provide greater incentives to developers to build for the platform. Which leads to a fuller app catalog, and so forth. Windows Phone, I would posit, is past the days of its rocky youth.